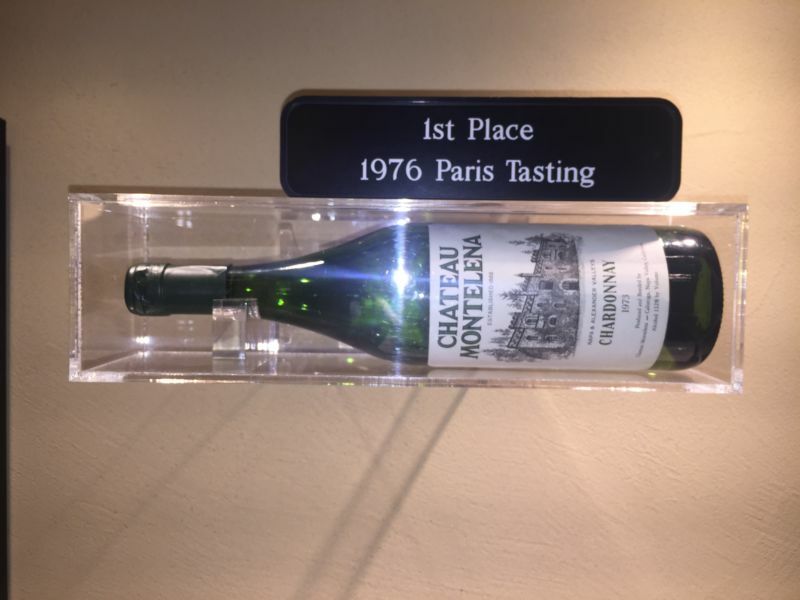 On May 24, 1976 a blind-tasting conducted by French wine critics of wines from Napa and France ended with a resounding victory for the American products. This event, which became known as The Judgement of Paris changed the way the world thought of Californian wines, no longer treating them as obviously inferior to those from the old world. Last week, on the fortieth anniversary of this momentous event, we visited Chateau Montelena whose 1973 Chardonnay had been voted the best white wine. We had never visited this Napa Valley landmark, but I was certain of three things: the Chardonnay would be the most noteworthy wine, their name would mean that the wines would be over-priced, and a winery so famous would offer an impersonal tasting experience. I was wrong on all counts. The Chardonnay was unremarkable, in sharp contrast to the Zin and Cabernet Sauvignon which were excellent. The wines were priced very reasonably. We were taken to a room, which we shared with just one other couple. The tasting menu had our name printed on it. We had one server, who sat with us throughout the tasting. She told us the history of the Chateau, described the wines, and answered questions; delivering all of the information with enthusiasm. This personal attention cost no more than the Napa average $25. Unfortunately, California Girl, has to sit out this tasting. Therefore, we will come back and conduct a full tasting with notes and post in the near future. I keep track of the wineries that we have visited. 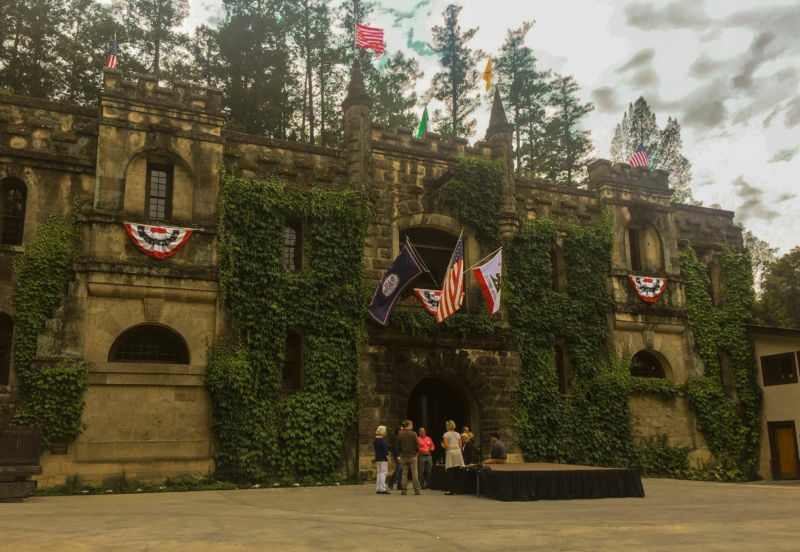 Chateau Montelena was the fortieth Napa Valley winery on our list on the fortieth anniversary of its triumph. California Girl Comments: I was actually on the property, but got a headache and didn’t think it was a good idea to drink wine right then. I did get the opportunity to walk around the grounds which are absolutely spectacular. Unfortunately, the day we were there, the weather was really not great for photos, and I didn’t bring my good camera. I will rectify this on our next visit. 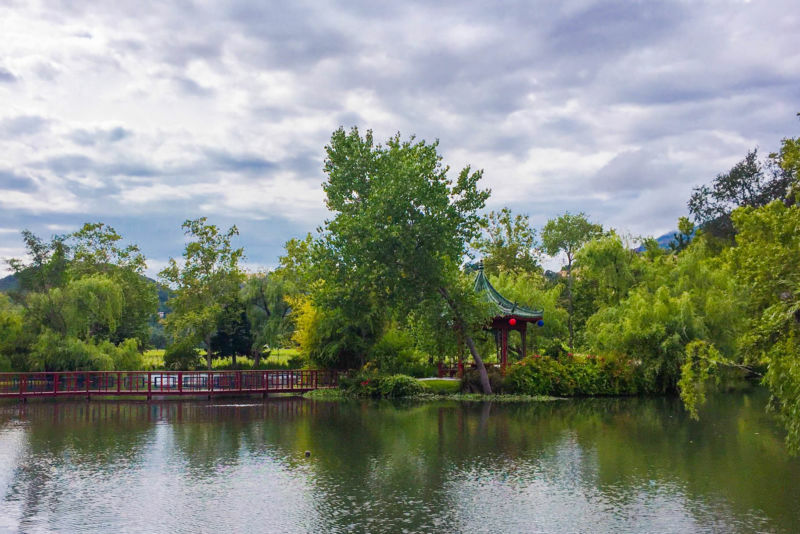 The place is stunning and I would love to take some great photos. Of course drink the wine too…most important!